WHAT IS THE REVOLUTION TOUR? Promoting positive change in the stand against bullying. 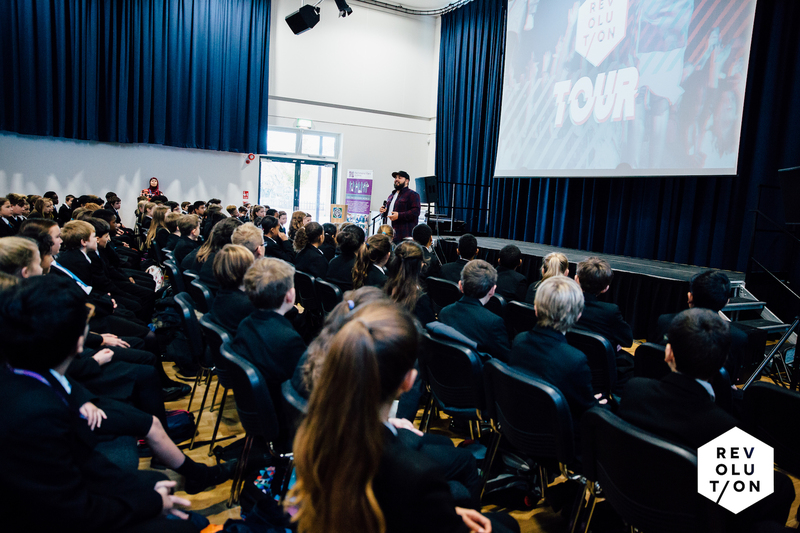 The Revolution Tour is an annual schools tour that aims to inspire young people to have the boldness and courage to stand up and be a positive revolution in their worlds. 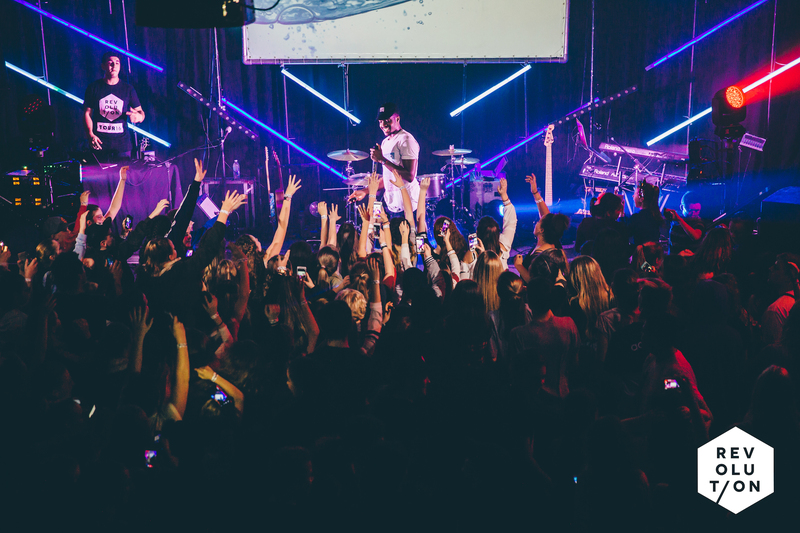 Featuring world class creative artists and youth communicators, The Revolution Tour's mission is to encourage and empower every student to be the best they can be, and to see schools transformed for the better. 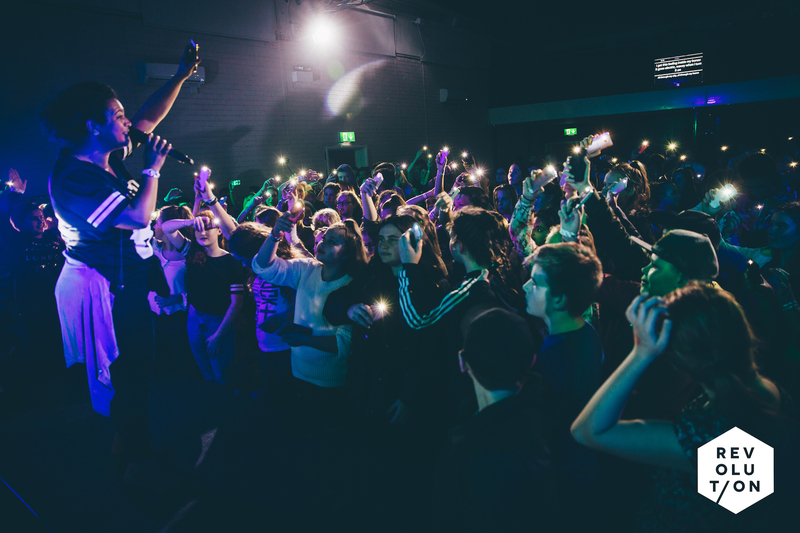 Our high energy, high impact schools programmes will leave students inspired, encouraged and talking for weeks after the event. 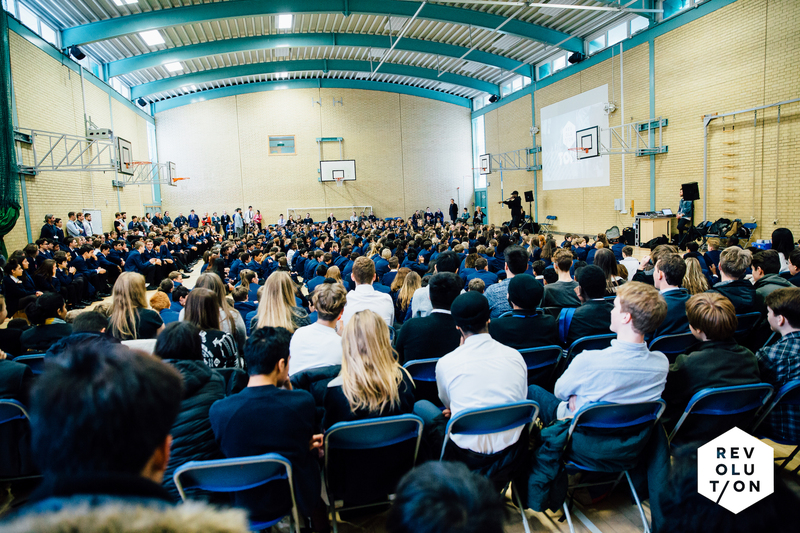 We'd love to visit your school for an assembly, lesson or dedicated session. For more information about our schools work, click here. 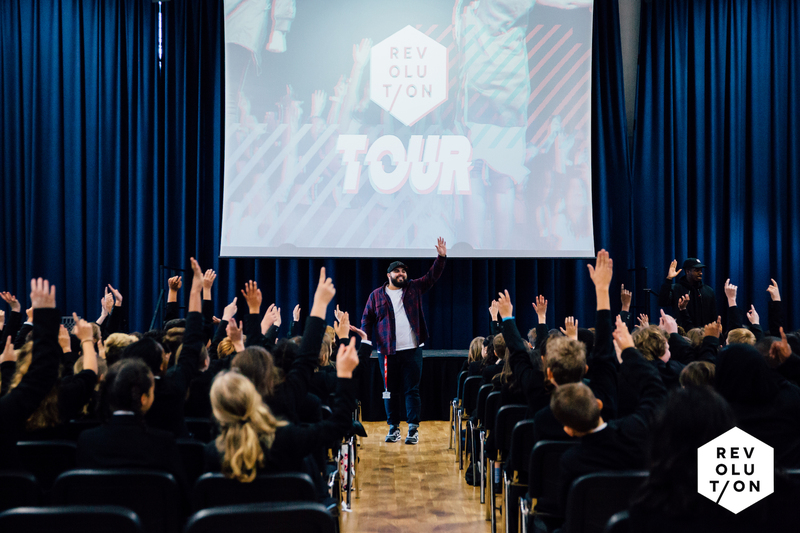 The Revolution Tour Night Shows run on each evening of the tour, and we love to invite every student we meet in schools to attend. 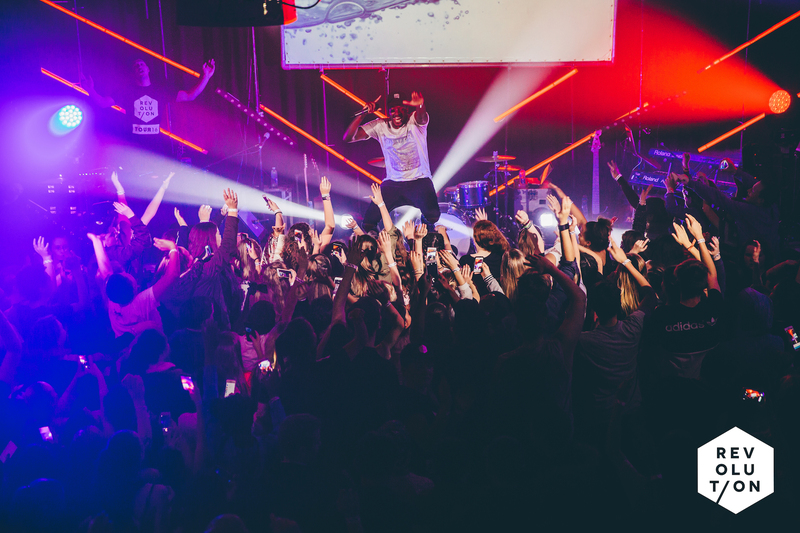 Featuring full live performances from our creative artists, incredible life stories and inspiring messages about faith and life, these events are not to be missed.